Sooner or later most of the children lighten up with the dream to have a pet at home. Which animal to choose for your kid? 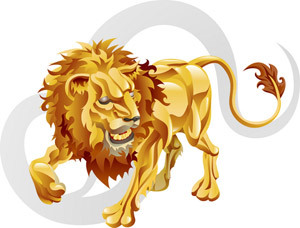 Astrology makes recommendations for typical representatives of the Zodiac signs. Little Aries has an impulsive and energetic nature, so it would probably be difficult for him (or her) to care for the pet patiently and for a long time. But if he is really interested in animals, you will be surprised by his energy and enthusiasm. And his favorite pet is most likely to be the same active and cheerful as his little master. It is quite possible that in this case, the little Aries will be interested to communicate with the other animal lovers, and his cat or dog will participate in various competitions. Be sure - your Aries will prepare his pet to win properly! F or a little Taurus his pet will bring a great joy, especially if it will be big, fluffy and tender. For example, a Collie dog or a Siberian cat. They will be happy to play together and it would be quite easy for your child to care for his pet. Especially pleased he will be, raising up an adult animal from a small baby, feeding it, watching how it grows day after day. But you have to make sure that your child will not spoil your pet with too much of tasty treats. 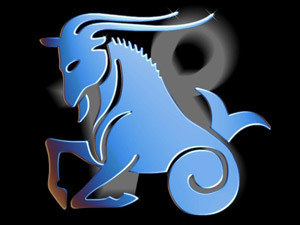 Purchasin g a pet for the energetic and mobile Gemini, we must remember that the daily duties of care for the pet may soon become for them very boring. So suggest them to get a pet, caring for which will not cause much trouble. A good option - aquarium fish, which, incidentally, will effect positively the movable nervous system of your baby. For this reason, a fluffy kitten will also make good friend for Gemini. Cancer s are endowed with the natural ability to care for those, who are younger and smaller. Your little Cancer will surely take a good care of his pet, and it is quite possible that he would be his true friend. Cancer needs a reliable sensitive and affectionate companion, and children Cancers are often strongly attached to their pets, talking to them and confiding to them all their secrets. For this reason it is desirable to have a dog - the most affectionate and dedicated animal, that is able to respond to the feelings of little Cancer. If a little Leo will have a pet, be sure - this baby will do everything possible to be proud of his favorite. A proud glance of a beautiful purebred dog will attract a little Leo much more than a common hamster (unless of course this hamster is not marked with some special talents and merits). Leo will easily master the basics of training, he will teach the animal different tricks and take a perfect care for the animal's exterior. Maybe Leo would like to demonstrate their achievements at the relevant shows and exhibitions, and if they won some medals - it will be the main reward for your little Leo. Child- Virgo will cope perfectly with the daily cares for the animal, will never forget to give his pet food and water right on time, will be able to regularly clean the cage or to take his pet for a walk. Those children, who are born under this sign often choose small animals. Little Virgo would be happy to care for the hamster, mouse or turtle. Without being too sociable with the other kids, children of the Virgo sign are often revealed in communicating with animals, showing their best features. To ple ase the little Libra, his (or her) pet must first be beautiful. Desirable - calm. Probably the best choice here would be a fluffy kitty or a thoroughbred lap dog. In general, Libra likes to know that his pet has a distinguished pedigree and is referred to the cat's or dog's elite. When Libra is going to have a pet, you can be assured that the animal will be properly trained and groomed, bringing joy to the whole family. Little Scorpi on will surely like those animal, that are energetic and active?? - like himself. If you want to buy him a dog, it must not be lapdogs and poodles. Better think of at least a Fox Terrier or a Spaniel. Scorpions also like exotic animals. Little Scorpio is so much attached to his pet, that he will be ready to put his whole heart and soul into caring for a beloved animal. Directing his efforts, you will help him to cultivate patience and consistency - the traits, that he would really need in life. For a typi cal Sagittarius all living things - are a great joy and a great wonder. Children Sagittarians are full of genuine interest to all creatures, so any pet will bring them a lot of happiness. Better - an active, lively and cheerful one. Many Sagittarians love dogs and horses. Caring for a pet, your child will surprise you with not only the warmth of his intentions, but also with his knowledge about animals - because Sagittarius from the childhood seeks to know more about the world around himself. Small Cap ricorns are taking their pets seriously. Once having decided to take care of a pet, they will try to learn more about the habits and health of the animal, carefully arrange care for him. Capricorn will be pleased to know that his pet has a good pedigree and has many useful skills. But do not forget that behind practicality and seriousness of your child there is hiding a kind and tender heart full of love for you, and for our younger brothers. Pets for t he Aquarius child - are first of all, the subject of almost scientific investigation. It's so interesting to learn how hamsters do wash themselves and what the bugs eat and whether they can learn to run faster. Choosing a pet, Aquarius is unlikely to focus on fashion and an impressive pedigree. His pet probably will be very different from the others, maybe even an unusual breed. Many Aquarians prefer a dog - because from the young age they are able to appreciate the real friendship. Do not b e surprised if your little Pisces will bring home some poor street cat or a dog with the broken leg. As your child has so much compassion that he simply can not ignore the unfortunate animal, and, of course, wants to help him. Little Pisces do not care for any breed or pedigree, he would look after his pet carefully and accept him for what he is. Remember that children Pisces tend to be strongly attached to their pets, and if they happen to part with them, they feel a real sorrow. © 2004 - 2019 AstroVera.com. All rights reserved.